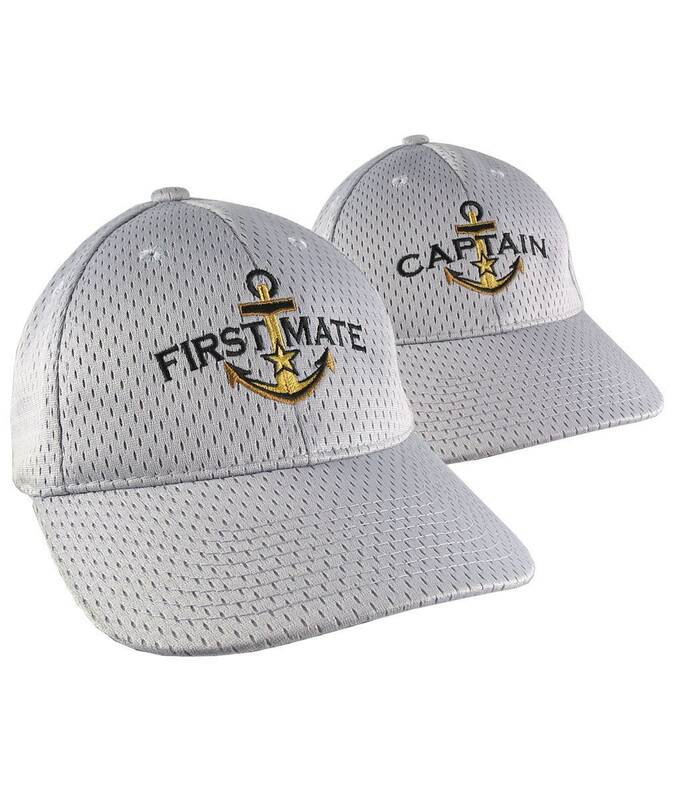 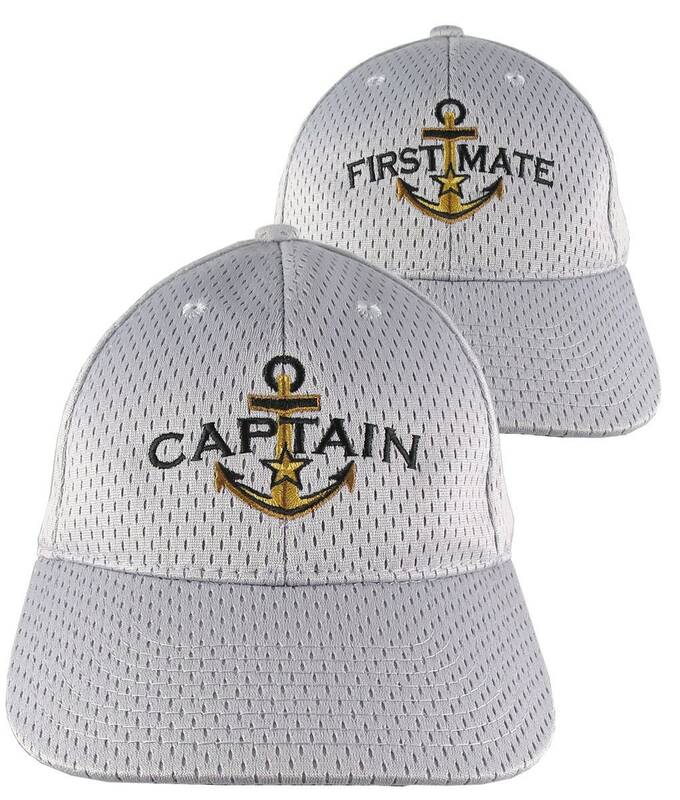 A Captain and a First Mate nautical star anchor custom embroidery offered on stylish full fit comfy silver adjustable structured baseball caps. 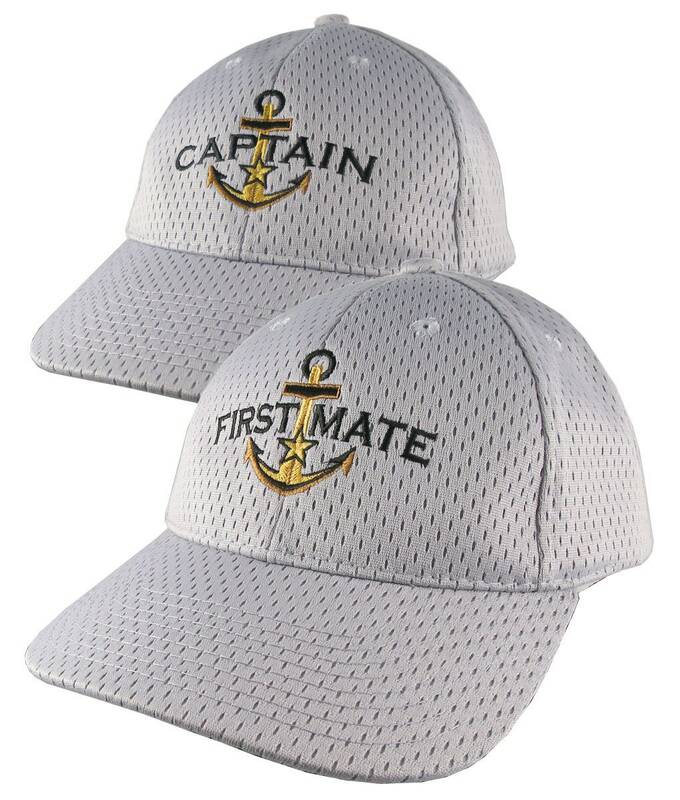 Excellent hats for the active nautical lifestyle. 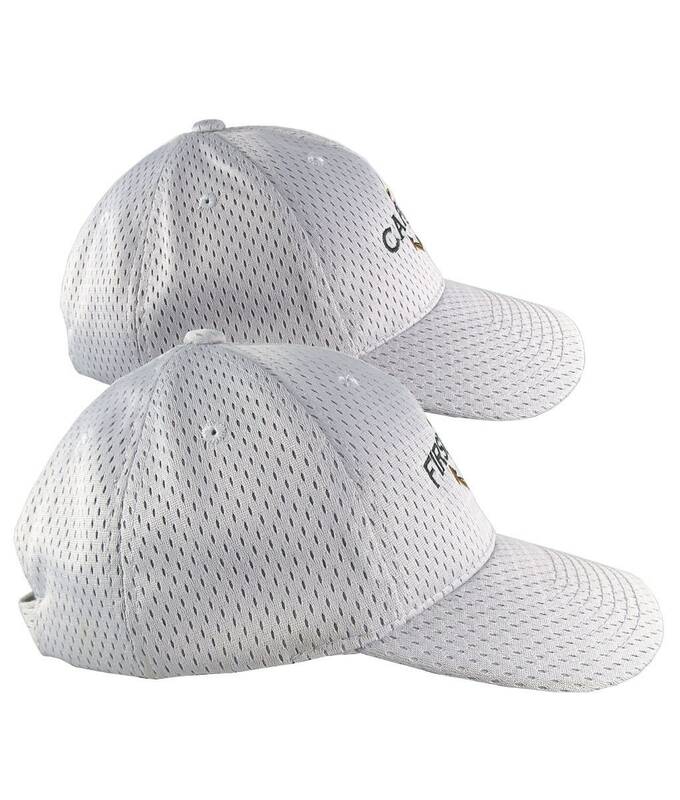 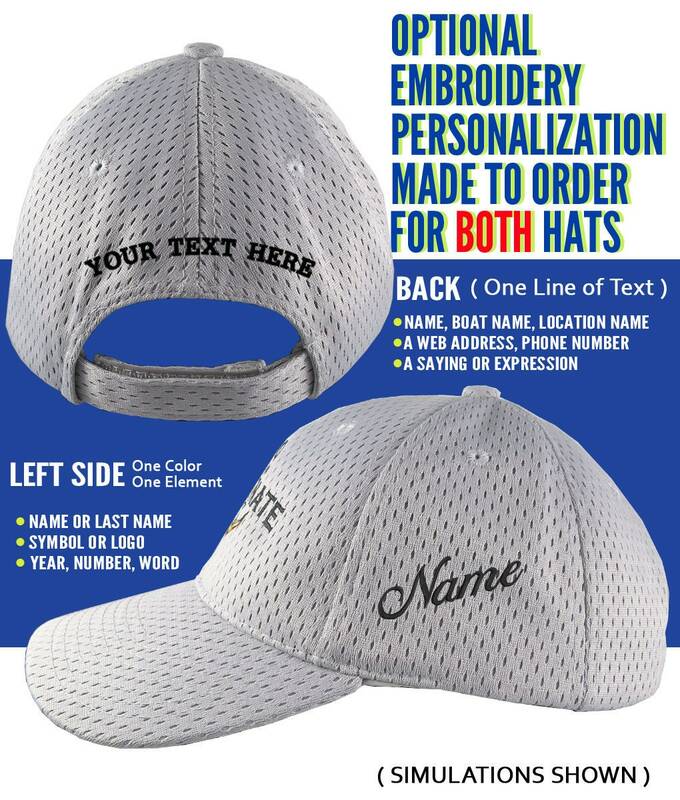 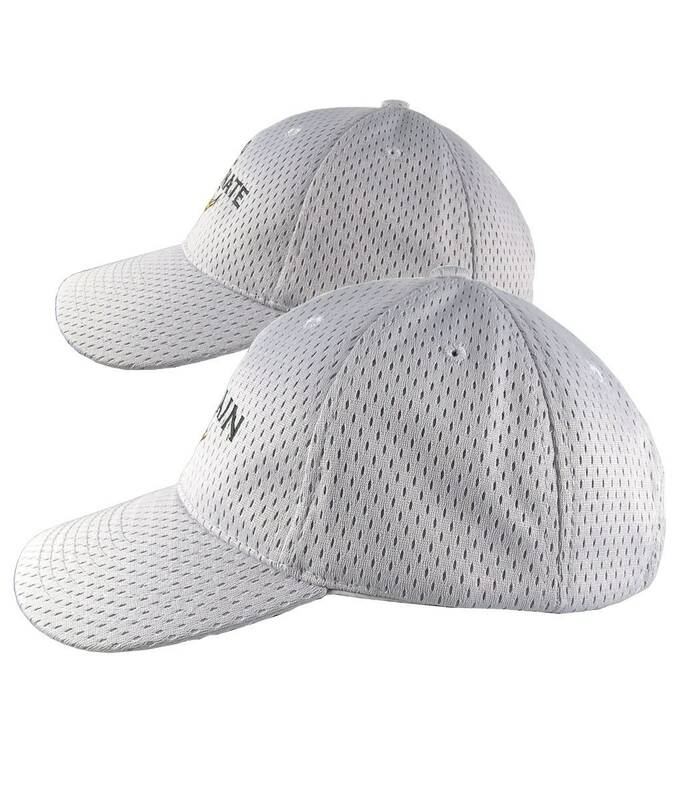 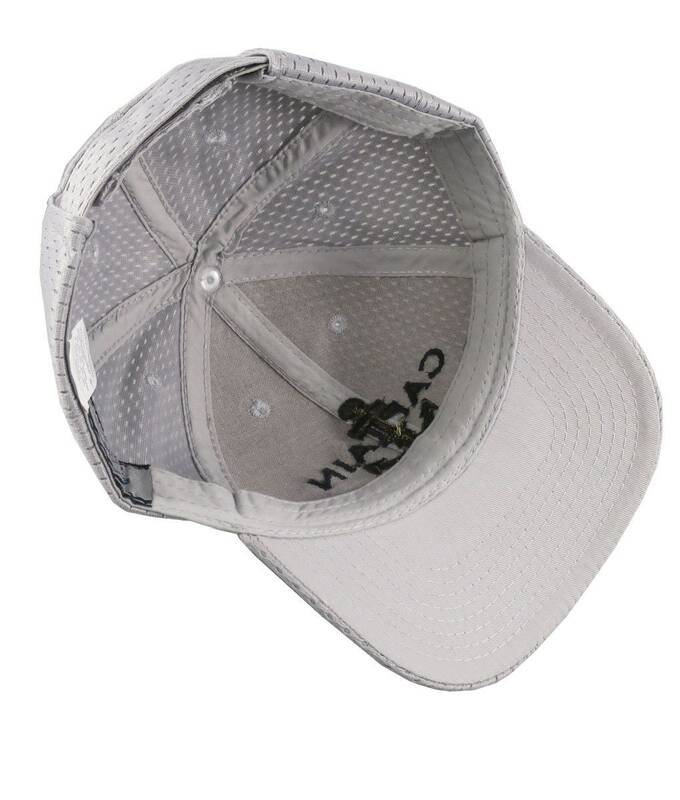 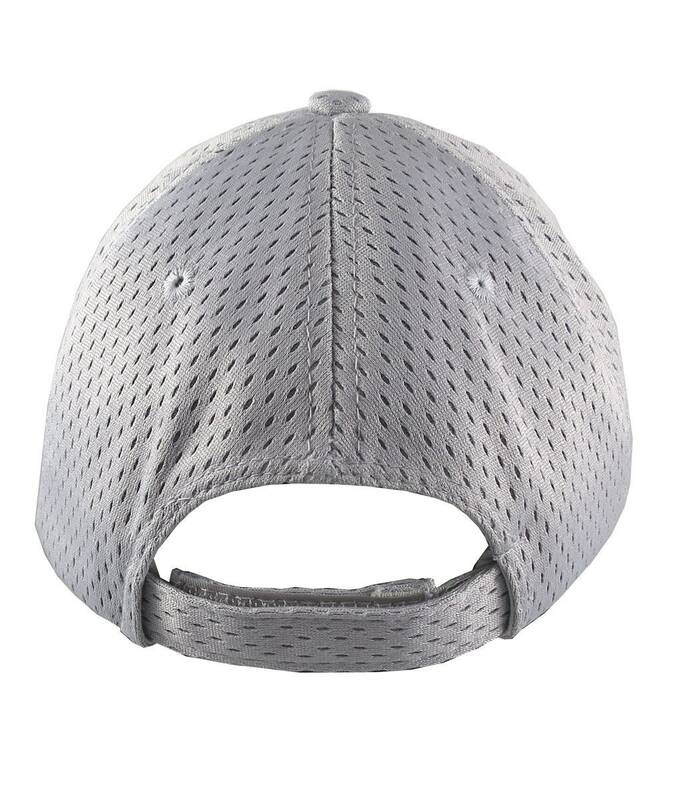 Their polyester jersey mesh fabric allows for cool comfort, a fast drying material, and very easy to care for hats.